Eight years after 9-11, the American people and the U.S. government are still woefully misinformed about what actually happened on September 11, 2001. The media version of events, accepted by most Americans, is based on a completely false understanding of the terror atrocity that changed America – and the world. This is, however, no accident. This is how Israeli false-flag terrorism is designed to work. The terror attacks of 9-11 were planned and carried out by Zionist extremists with the intention that the blame would be assigned to Islamic terrorists based in Afghanistan. Israeli military leaders and the Zionist-controlled media were well prepared to interpret the attacks so that public opinion would blame Muslims and Arabs for the atrocity. Changing public opinion is the primary mission of the architects of false-flag terrorism. The evidence, however, indicates that the terror atrocity of 9-11 was not carried out by Osama Bin Laden, Al Qaida, the Taliban, or any Muslim entity. The discovery of chips of nano-thermite in the dust of the demolished World Trade Center has fully exposed the official version, promoted by the controlled media for eight years, as nothing but a pack of lies. Whoever applied tons of super-thermite to the Twin Towers had unrestricted access to every floor of the buildings - and state of the art nano-technology explosives. This was certainly not Osama Bin Laden and his gang of twenty. Thousands of American, Afghani, and Iraqi lives have been lost as a result of the false understanding of 9-11, and the map of the Middle East has been redrawn. This is intentional, of course, and the Zionist-controlled media has been the most important supporter of the lies that surround 9-11. In the United States, the false interpretation of 9-11 has been vigorously promoted by Rupert Murdoch's FOX News and News Corporation, CNN/Time Warner, the New York Times, and other Zionist-controlled news networks. The lies about 9-11 were prepared in advance to kick-start a U.S.-led military campaign across the Middle East that would result in American troops being permanently based across the region to support the fortress state of Israel and its Zionist hegemony. This is what is called the "War on Terror," which has been the Israeli plan since the mid-1980s, as articulated by Israel's current prime minister from the far-right Likud party, Benjamin "Bibi" Netanyahu. This extreme Zionist strategy became U.S. policy in the aftermath of 9-11. It was planned that way, of course. The invasion of Afghanistan, the response of President George W. Bush to 9-11, has been called "Obama's war" because of President Barack Obama's escalation of the nearly eight-year-old war of occupation. Despite the discovery of super-thermite in the dust of the World Trade Center, Obama continues to push the war in Afghanistan as a response to 9-11: "Let us renew our resolve against those who perpetrated this barbaric act and plot against us still," Obama said at the Pentagon's eighth anniversary ceremony. "In pursuit of al Qaeda and its extremist allies we will never falter," he said. The war in Afghanistan, begun on 7 October 2001, cannot rightly be called Obama's war. It can, however, be called "Barak's war" if we mean Ehud Barak, the current Israeli defense minister and former prime minister. Barak was the first person to call for a U.S. war against Afghanistan and the chief architect of 9-11. By being the first to interpret the attacks and articulate the desired response, Barak revealed his role as a chief architect of 9-11. The Israeli leaders Benjamin Netanyahu and Ehud Barak were among the very first people to blame Osama Bin Laden for 9-11 and call for military action against the Taliban-led regime in Afghanistan. The false-flag attacks were designed and then used by these Israeli leaders to start their long-planned "War on Terror," an Israeli military strategy pushed by Netanyahu for many years. The U.S. military presence in Afghanistan and Iraq allows Israel to carry out covert murderous false-flag terror operations in these beleaguered nations, acts that are effectively disguised as "sectarian" violence by the Zionist-controlled media. It needs to be understood that Israel is, unlike any Western nation, a state that is run by the military. It is often said in Israel that while some of the Zionists wanted Athens, they got Sparta. The Israeli military/security establishment dominates the political affairs of the nation and has done so for decades. Seven of Israel's sixteen defense ministers, for example, were also serving as prime ministers. Four of them, Moshe Dayan, Yitzhak Rabin, Ehud Barak, and Shaul Mofaz, also served as Chief of Staff of the military. This is essential to understanding Ehud Barak's key role in 9-11. Ehud Barak, the current defense minister, was both prime minister and defense minister of Israel from 1999 until March 2001. 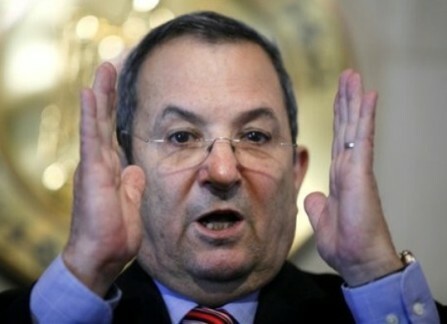 As defense minister, Barak led the criminal aggression known as Operation Cast Lead against the civilian population of Gaza from December 2008 through January 2009. Although Israeli forces under Barak's command committed egregious war crimes in Gaza, neither Israel nor Ehud Barak has been held accountable by the international community. The Israeli military, for example, flagrantly used banned white phosphorous bombs on the civilian population and intentionally bombed an American-run school and U.N. compound. The Israeli assault killed some 1,300 civilians. Just this week, defense minister Barak approved the building of some 500 housing units on illegally occupied Palestinian land without a word of protest from the administration of Barack Obama, which has openly demanded an end to illegal Zionist construction in the occupied territories. The position taken by the Obama administration is, however, merely a false front meant to placate Arab states and public concerns about Israeli crimes in Palestine. In the same way, president-elect Obama said he would have plenty to say about Israeli war crimes committed in Gaza after he was inaugurated. He has, however, been completely silent about Israeli war crimes. Ehud Barak is a chief architect of 9-11. As Israel's highest military strategist in political office, his role in the false-flag terror attacks of 9-11 was at the highest architectural level. 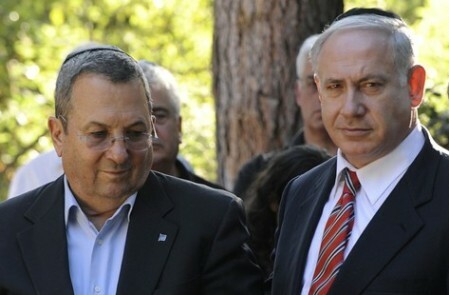 As the Israeli prime minister and defense minister from 1999 through March 2001, Barak was at the top of Israel's political and military establishment when the false-flag terror attack was being prepared. Although Barak was replaced as prime minister by Ariel Sharon six months before 9-11, the project had been planned and was set to go before Barak left office. Barak was given a high-paying position with Electronic Data Systems, an American company, only hours before the 9-11 attacks. Israeli crimes like 9-11 and the murder of President John F. Kennedy are planned well in advance and compartmentalized for operation security. 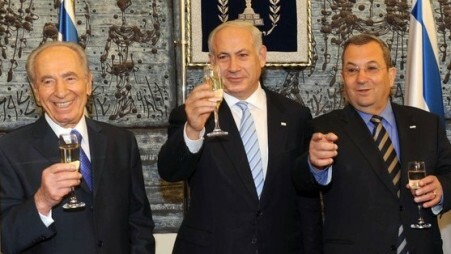 Outside observers were surprised when the extremely hawkish right-wing Likud prime minister Binyamin Netanyahu took Barak, head of the Labor party, as his defense minister. The key fact to be considered in this relationship is that Barak was Netanyahu's commanding officer when they were both active in Israel's elite commando force, the Sayeret Matkal. Ehud Barak was Netanyahu's commanding officer in the Sayeret Matkal. Here they attend a June 2009 memorial ceremony for Netanyahu's brother who died in the Entebbe operation headed by Barak. Barak is known for heading the military response to the 1972 hijacking of a Sabena Airlines jet, which was forced by four terrorists to land at Israel's Lod Airport outside Tel Aviv. Barak led a team of Sayeret commandos, dressed in mechanics' overalls, which approached the plane as if to refuel it and then stormed inside. Barak's commandos overpowered the hijackers and rescued the passengers. One of the men under Barak's command was Benjamin Netanyahu. "Bibi was a good young officer," Barak acknowledged to Serge Schmemann of the New York Times (May 21, 1996), referring to Netanyahu by his nickname. "I tried to convince him to stay in the army longer. He was good at that, but that does not make him an appropriate [person] to run the country." Barak was the key architect of the June 1976 Operation Entebbe, another rescue mission to free the hostages of the Air France aircraft hijacked by terrorists and forced to land at the Entebbe Airport in Uganda. Netanyahu's brother, Yonatan, was killed in this raid. An Israeli school of terrorism was created in his name. The relationship between Barak, the commander, and Netanyahu, the soldier, is very close. These men have worked as a team for decades. In the immediate aftermath of 9-11, Ehud Barak, the former Israeli prime/defense minister, was the first person to call for the U.S. to attack Afghanistan. On the very day of the attacks Barak told Rupert Murdoch's Sky Television that Western governments needed to make a concerted effort to combat terrorism: "Most obviously my guess is a bin Laden organization...We have to stand firm against such terrorism," Barak said. "We have to coordinate to launch the same kind of fight that our forefathers gave to the fight against piracy on the high seas - mainly terrorists should not be allowed to land at any port or airport," he said. Note Barak's use of the pronoun "our." Whose forefathers is he talking about? "The leadership of the world should be able to take action. It is time for action. The world is not going to be the same place as before," Barak said. "Bin Laden sits in Afghanistan," Barak said on 9-11. "We know where the terror sites are. It's time for action." Barak's comments were reported in the Washington Times of 12 September 2001. 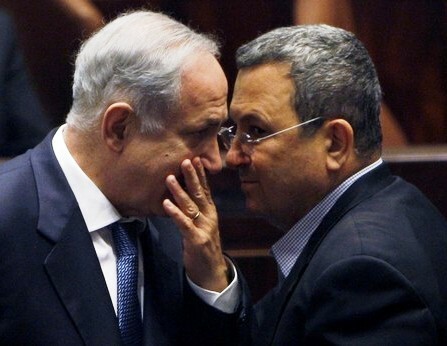 Netanyahu and Barak are very close in planning top-secret operations. Benjamin Netanyahu, another former Israeli prime minister, actually told the New York Times that the terror attacks were "very good" for U.S.-Israeli relations on 9-11. He also "called upon all democratic nations of the world to join an international coalition to crush the terrorist organizations and the regimes that sponsor them," according to the Jerusalem Post of 12 September 2001. This military response is the pre-planned Israeli strategy known as the "War on Terror," which Netanyahu has been pushing since 1986 in his books, articles, and speeches. "We must build a coalition against terror today, when our power is unmatched, because tomorrow it could be matched," Netanyahu said in a news conference at Jerusalem's King David Hotel. "It's time to take on militant Islamic regimes with a great deal of strength. We should crush the terrorist infrastructure that threatens the entire free world." Netanyahu predicted that yesterday would be a turning point in the history of the United States, similar to Pearl Harbor. He called upon the United States to lead the effort against "the Bin Ladens, Arafats, and Saddam Husseins of the world." The former prime minister said he predicted massive attacks on the World Trade Center shortly after the last attack on the building, and in his 1995 book Fighting Terrorism. Let there be no illusions. This attack is an attack on everything that Western civilisation holds dear -- freedom, the rule of law, the sanctity of human life. It is an attack on the open manner in which business is conducted between people and nations and on the very fabric of human interaction as we know it. And we know who the attackers are. Whether Osama bin Laden was involved directly or not, or whether it was another grouping, the world's governments know exactly who the terrorists are and exactly which rogue states support and promote their activity. Countries like Iran, Iraq, Libya, Sudan and North Korea have a proven track-record of sponsoring terrorism, while no one needs reminding of the carnage wrought by the terrorist thugs of Hamas, Hezbollah, Islamic Jihad and even Yassir Arafat's own PLO. The lines of battle are clearly drawn. Ehud Barak certainly knows who "the attackers are." He sees the chief architect of 9-11 every time he looks in the mirror. As an architect of the terror atrocity of 9-11, Barak was well prepared to explain what happened to the Twin Towers.